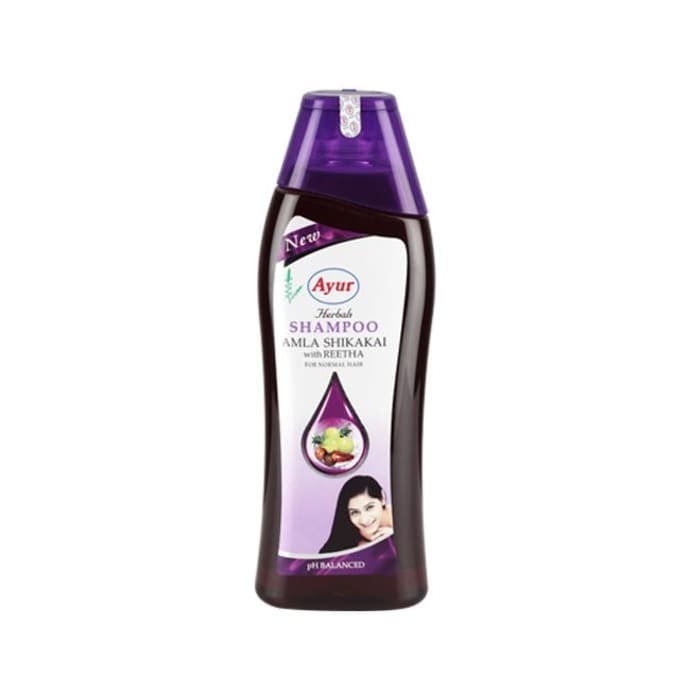 Ayur Herbal Amla Shikakai shampoo provides beautiful flamboyant, smooth and silky flowing hair and also nourishes the hair as well as strengthens the hair right from the roots. The 100% natural and herbal Ayur herbal shampoo with the right content of amla powder and shikakai makes it the right vitalizer for the hair. Ayur shampoo is also tolerated well by most skin types and will keep the pH levels in the skin under control, thus restoring the natural balance of the skin.